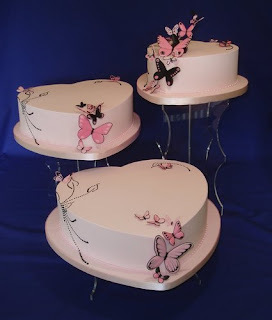 Gorgeous Wedding cakes with pink butterfly theme. 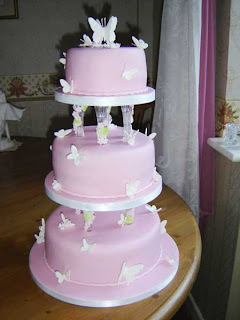 Three tier round white wedding cake with pink and white butterflies spiraling up the cake. Four tier round white wedding cake decorated with pink butterflies and white satin ribbon. Four tier round white wedding cake with dark pink ribbon at the base of each tier and a mass of pale pink butterflies cascading down the cake. White iced wedding cake over four round tiers decorated with pink butterflies. Glittery pink wedding cake with butterflies and a pale pink feather cake topper. 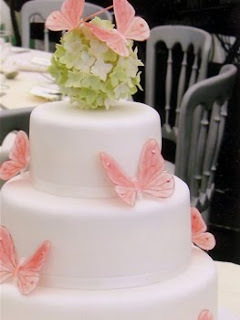 Lovely white wedding cake with delicate pink butterflies. 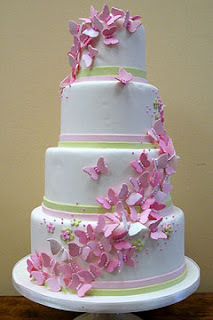 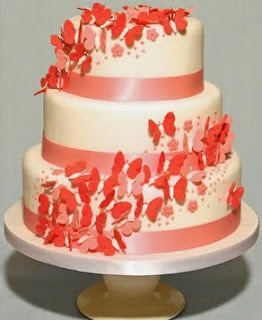 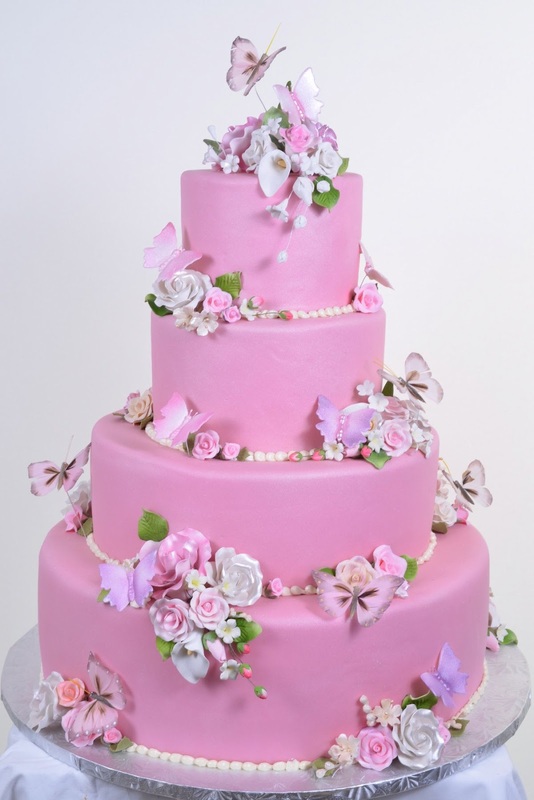 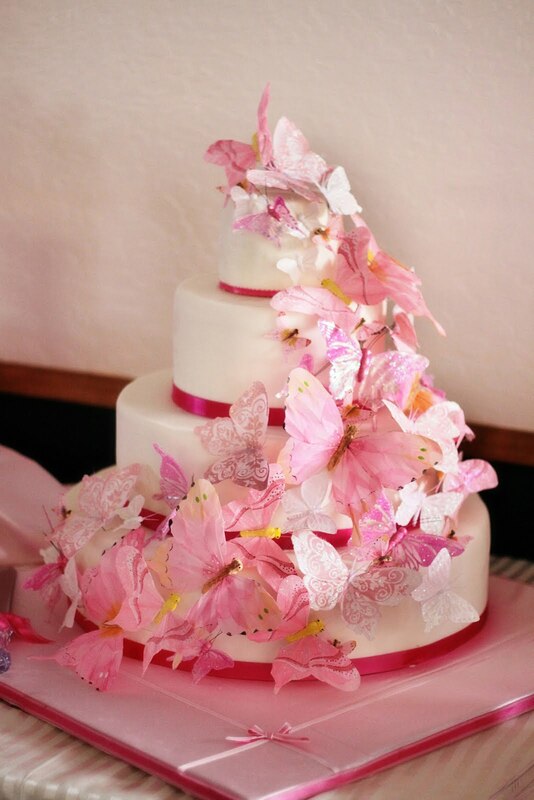 Spectacular three tier pink wedding cake with butterflies. 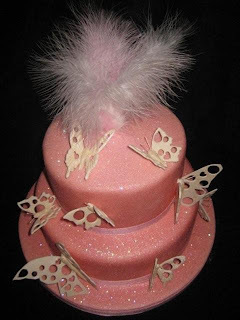 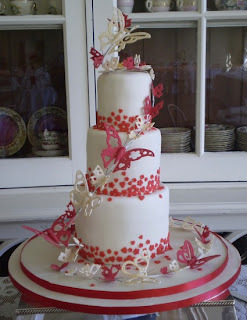 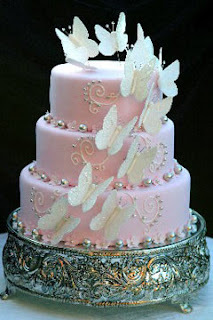 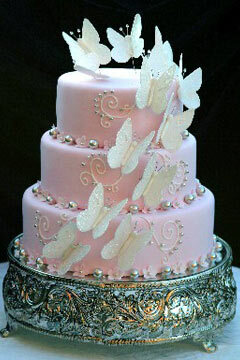 Pink Butterfly cake, 3 tier round cake with a thick pink sheer ribbon, and butterflies for a modern finish. 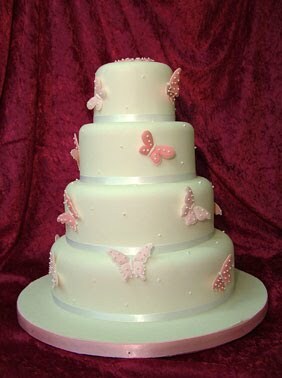 Three tier pink wedding cake with butterflies and beads. Three tier white wedding cake with a cascade on pink sugar butterflies. 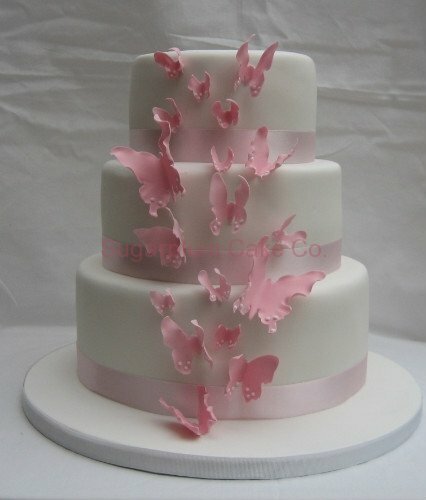 Five tier wedding cake with cascading pink butterflies. 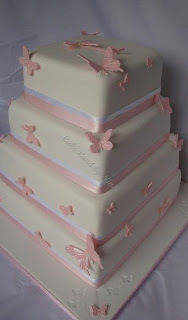 White ices wedding cake over three tiers with pink butterflies and pale pink satin ribbon. 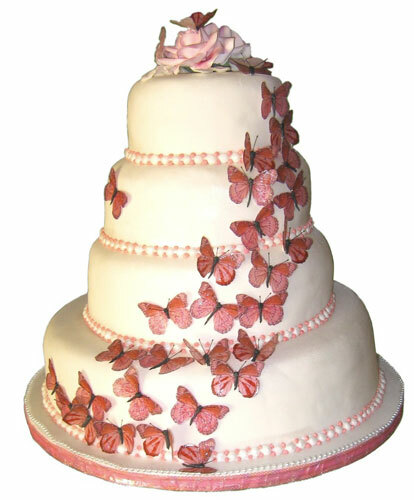 Three tier round pink wedding cake separated by columns and decorated with butterflies. 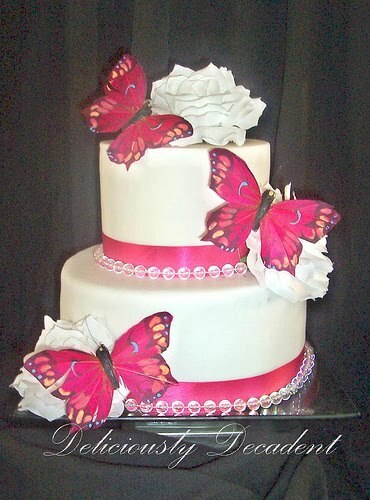 Bright pink large butterflies and white roses decorate this gorgeous wedding cake. 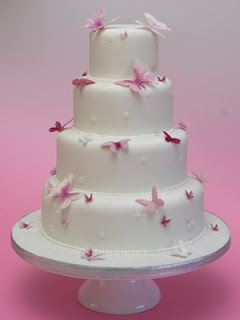 Four tier white square wedding cake. 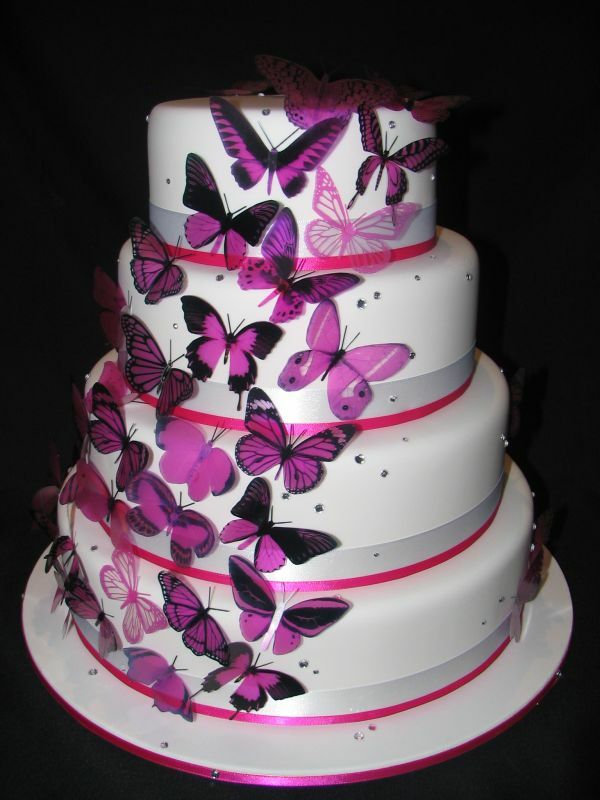 A different take on the pink butterfly wedding cake with a black background. 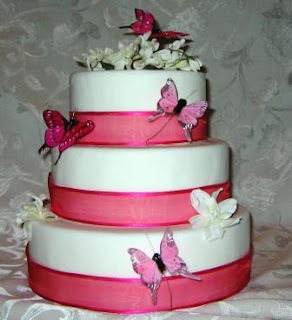 Pink and black butterflies decorate this stunning three tier heart shaped pink wedding cake. Three tier white wedding cake with multi hued pink sugar butterflies. 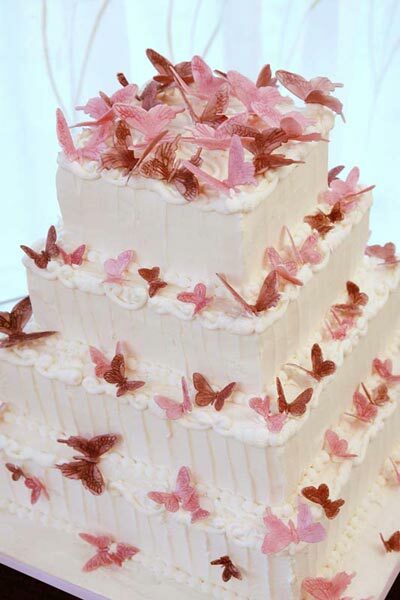 Square white wedding cake decorated with small pink butterflies.